A lot of women are working from home and sometimes it’s not as easy as we will like it. That is the reason why home office for women is a very good topic to discuss. 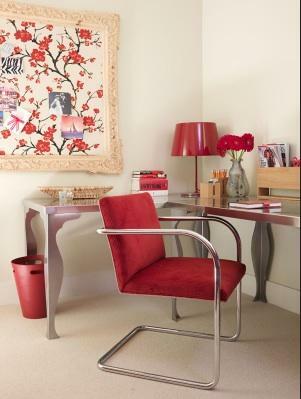 Are you a woman who works from home and needs a space to call your own? I know how hard it can be trying to find the right space just for you but at the same time being mindful of the rest of your family? As women we sometimes put everything first and ourselves last, that’s just in our nature. We have to take care of our family right? Sure we do, but there are some things we can do to put ourselves first without taking our family for granted, like decorating a room just for us. So the question is, how do we make our space just for us? 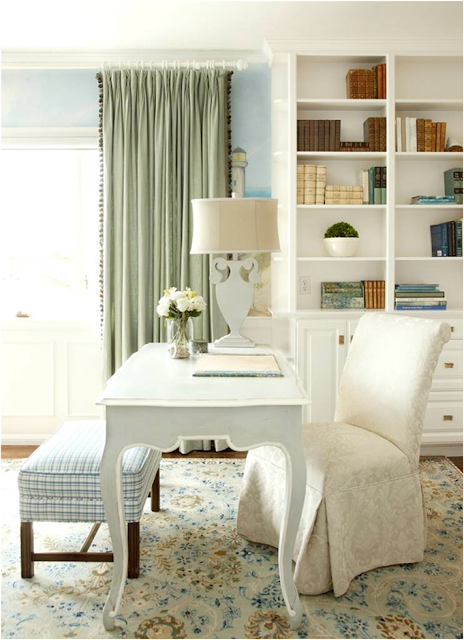 Here are a few home offices for women from around the web that speaks to me and I'm sure most women who are looking for that special home office or craft room, these will speak to you also. 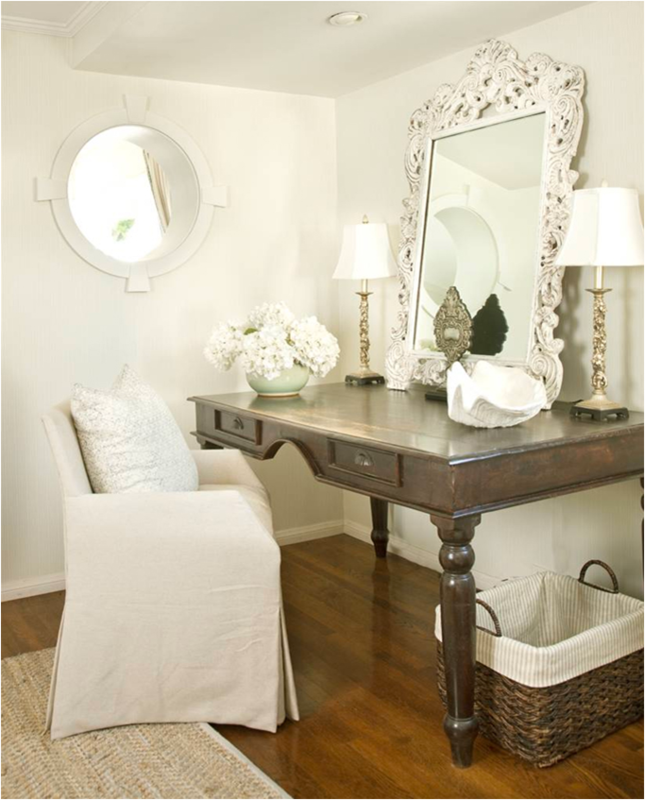 This a space that is carved out for a lady who just need a space of her own. How cute and simple. Look at the table that's being used as a desk how clever is that and she can lay a lot on that table with out the clutter. So ladies you don't need a normal desk. This is a space being used for a makeup table but can easily be used for a place to do work w/ a laptop and a phone your ready to work. This room is so cool with all the white back round and all the pops of red throughout how cool is that? 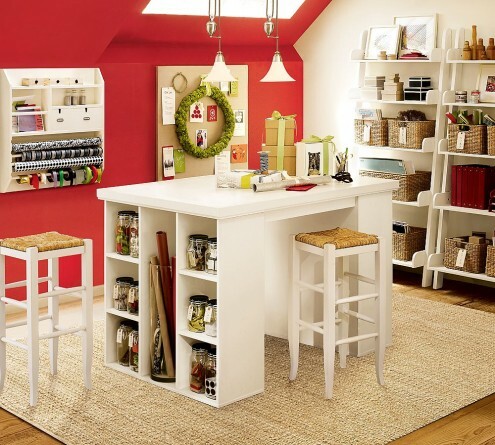 Ladies are you compelled or inspired to find a space to make your own in your home? 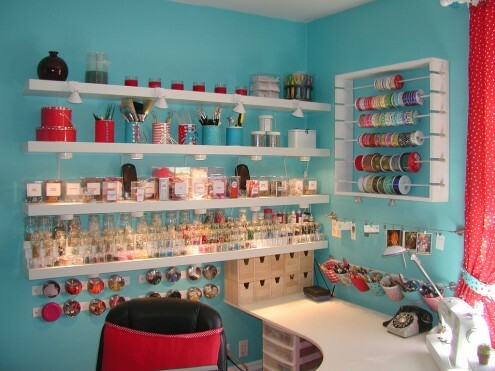 Would you use any of these ideas for your home office or craft rooms? Which room did you like most? Let us know in your comment below!